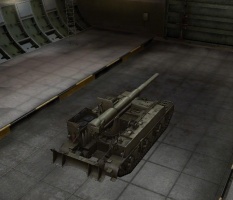 The M12 is an American tier 7 self-propelled gun. 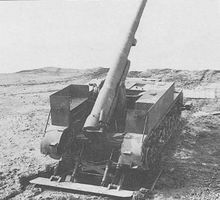 Development of the SPG started in the second half of 1941. The prototype underwent trials on February 12, 1942 and saw service in July 1942. The Pressed Steel Car Company produced 100 vehicles. Baldwin Locomotive Works modified the SPGs and re-equipped some M30 carriers. 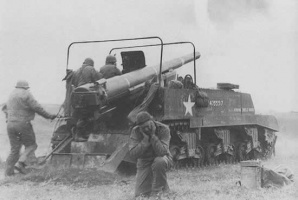 The vehicle saw service in the field artillery battalions and was used by the U.S.A. forces in Western Europe. 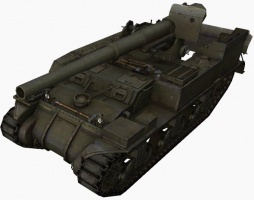 This SPG gains increased alpha and a very fast shell travel time compared to the M44 but it has a narrower gun traverse and slower reload and aim time. As is par for the American SPGs it has a slow hull traverse speed, but a respectable top speed and acceleration. The M12 leads to the M40/M43. 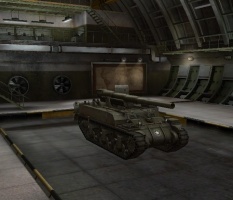 This tank is quite a change from the M44. The reload and aimtime are much slower and due to the narrow gun traverse you will be forced to move the hull more often than you would like. 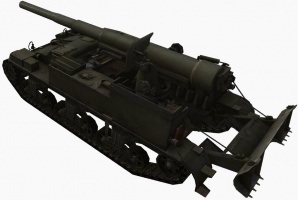 Considered a lackluster artillery piece before the nerf of 8.6, the M12 received further nerfs. 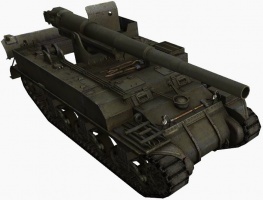 Considered one of the worst artillery pieces in a tier full of bad artillery pieces, the M12 does not have much going for it. It is merely average in most important stats: Average accuracy, average damage, average reload, average mobility. It's only real advantage is its decent horizontal gun arc, but this is surpassed by the G.W. 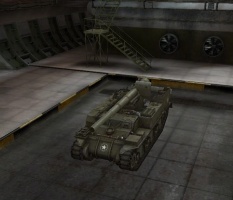 Panther and the Lorraine 155 50. 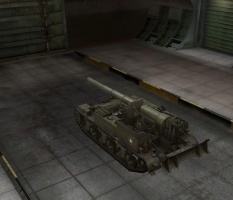 However, it is worth noting that it has the best aiming time in its tier, making it truly shine when it can dedicate to counter-battery enemy artillery. 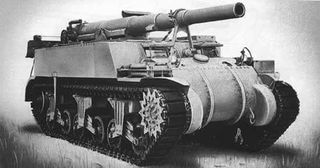 The 155 mm Gun Motor Carriage M12 was a U.S. self-propelled gun developed during the Second World War. Only 100 were built; 60 in 1942 and a further 40 in 1943. It mounted a 155 mm gun M1917, M1917A1, or M1918 M1, depending upon availability: a weapon derived from the nearly identical French 155 mm GPF gun of World War I vintage. 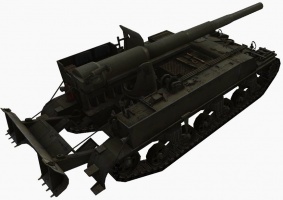 The M12 was built on the chassis of the M3 Lee tank (some sources claim that later M12 used the M4 Sherman chassis, but this might be a confusion with the M12's use of "Sherman-style" bogie trucks with trailing idlers). It had an armored driver's compartment, but the gun crew were located in an open topped area at the back of the vehicle. An earth spade (similar to a bulldozer blade) at the rear was employed to absorb recoil. This layout, a large gun mounted in an open mount at the rear with a spade, was the pattern adopted for many years by other heavy self-propelled artillery.This tank was also used to destroy small fortifications and pill boxes, and it was highly succesful. This page was last modified on 18 April 2018, at 02:19.